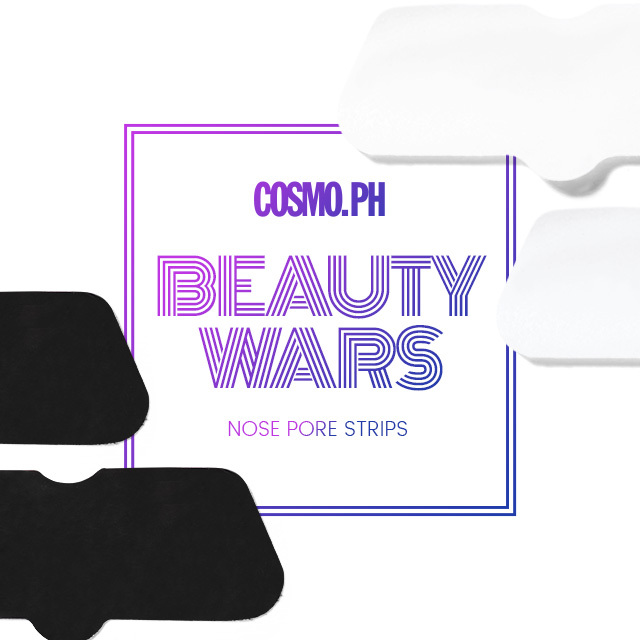 Today's Cosmo.ph Beauty Wars isn't for the faint of heart. 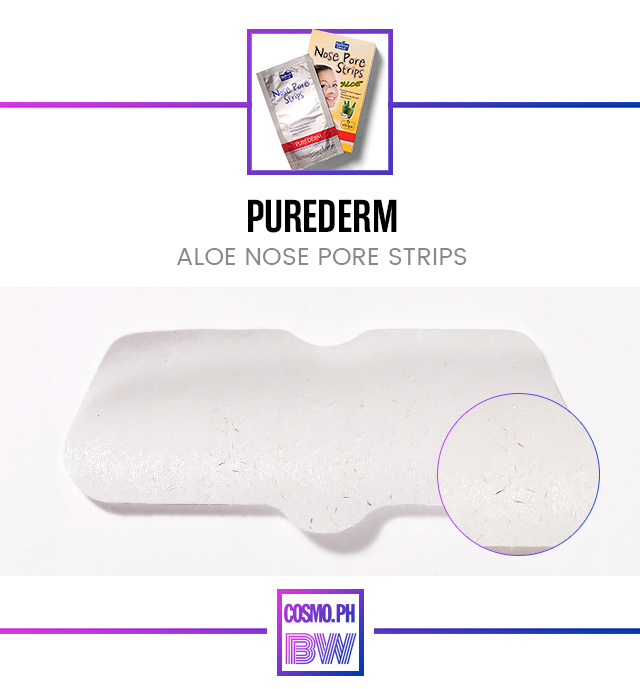 We zoomed in and examined used pore strips just to find out which can get the most blackheads out. See which drugstore find is the real deal below! What It Is: It instantly unclogs pores, and the aloe extract soothes the skin, minimizing irritation and redness. 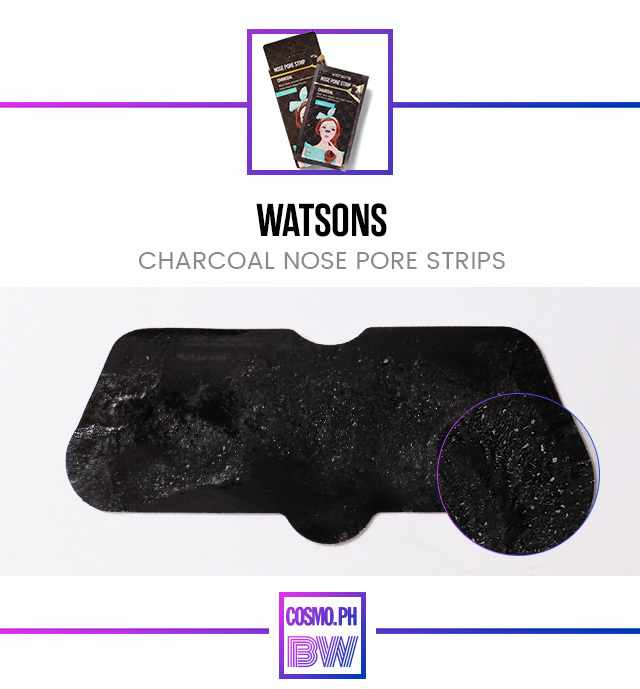 Why We Love It: We were shocked to see how much dirt and blackheads came off! A word of caution: It hurt when removed and dried out the sides of the noses, which lead to flaking and itchiness. We suggest that you apply a lightweight gel moisturizer on the area to soothe it. 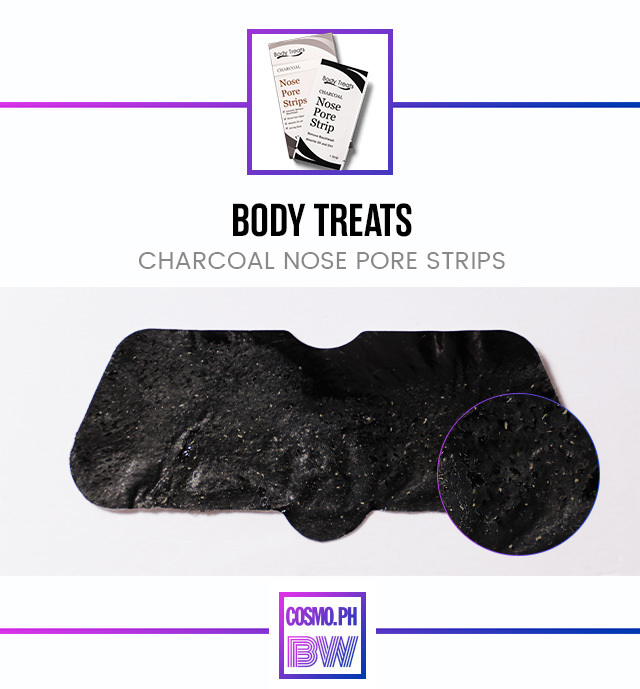 What It Is: The charcoal goes into the pores to draw out dirt, making it easy to extract oil and blackheads. Why We Love It: Among the three, this is the most affordable, because you already get a dozen of strips in one box. It removed a fair amount of blackheads, and it didn't sting when removed. 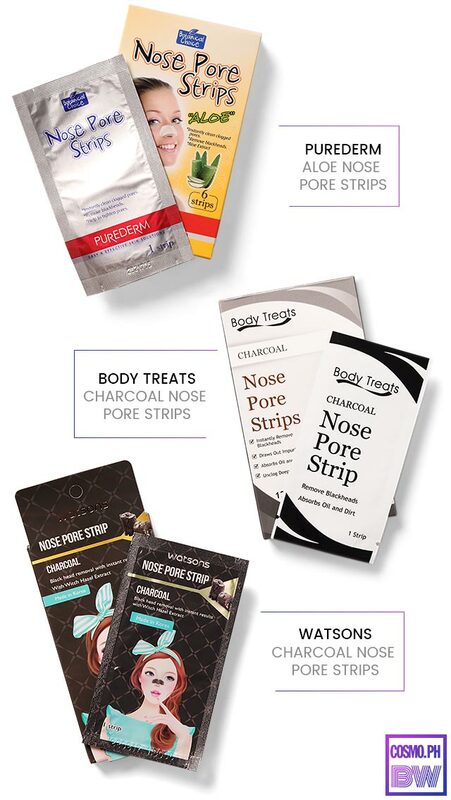 What It Is: These nose pore strips have witch hazel extract which effectively removes impurities and blackheads.